They alternate with sparkling Swarovski tanzanite rhinestones mounted in silver tone settings. 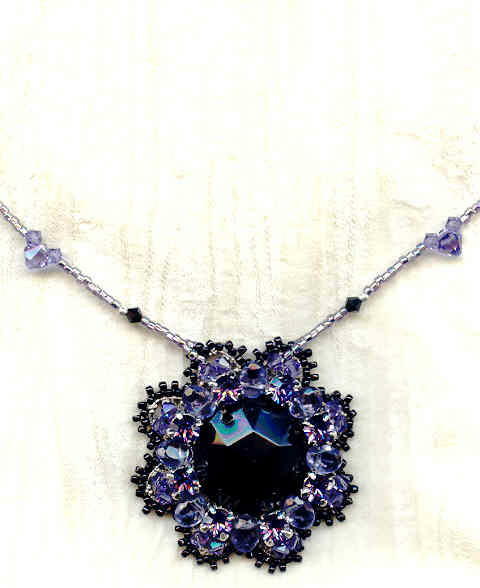 The centre of the pendant is a large vintage pressed jet glass faceted round sew-on. 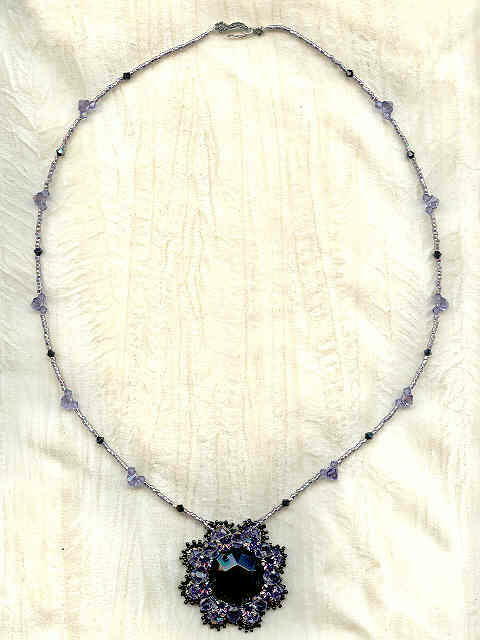 I've used Swarovski 4mm tanzanite bicone beads as the outer petals. The drops, beads and rhinestones are all hand fastened (by me) to vintage high-quality silver tone filigree findings; then a second finding is attached by a picot edge of jet black seed beads, sandwiching all the threadwork between the two metal pieces, and away from buttons and other potential snagging hazards. 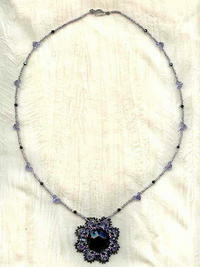 The pendant is suspended from 25" of silvery seed beads, Swarovski jet black bicones and 6mm tanzanite bicone drop beads. Is it possible to be romantic and sophisticated at once?